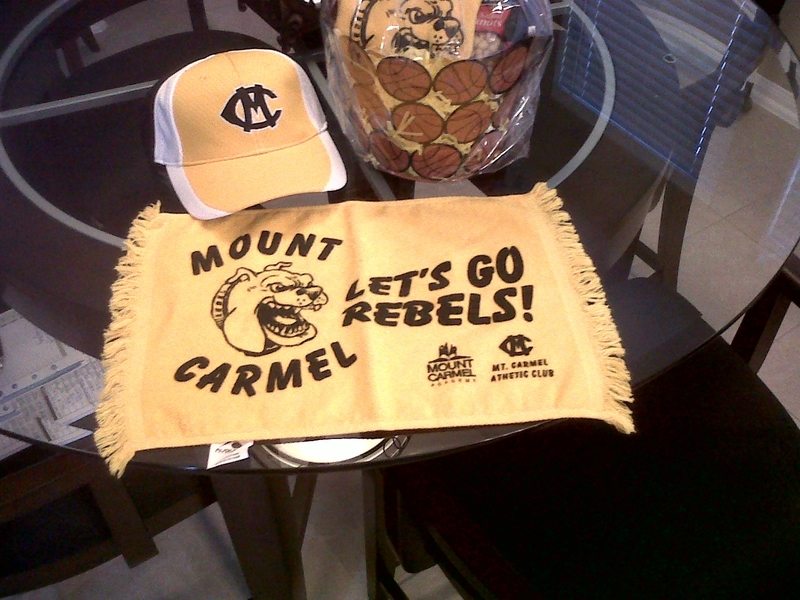 On March 27, 2011, I had the honor and privilege of speaking at the Mount Carmel All Sports Banquet. The banquet honored student-athletes from Mount Carmel Academy which is an HISD contract charter school. In attendance were a mighty 300 strong Mount Carmel grandparents, parents, administrators and mentors all there to witness what turned out to be a very exciting and joyous occasion for all. I have to thank Ricardo McDonald, the scheduled speaker, as he had a last minute conflict that would not allow him to attend. He called me up and asked if I could fill in for him. Then with the expressed verbal consent from my wife, after checking the family calendar; I was able to go. You have to be married to get that one. They got a kick and great big ole laugh out of it. Mount Carmel is a small school but I could instantly tell that the coaches and athletes there knew what it meant to play big and win big. They know how to win. On the wall were banners posted representing their past championships from various sports in 2008, 2009 and 2010. This is even more incredible as the school does not have any sports facilities to call their own and routinely has to find venues to hold practice at. On top of that they play all of their home games and another school. This sounds like a movie to me. Somebody call Oliver Stone!! A memorable moment of the night was when the 2010 State Champion boys basketball team was called to come up to receive their jerseys. I could see the emotion coming from their face. It was joy, some holding back the movie like one tear, all mixed in with happiness. Most of the young men had already graduated. I think all but one or two had to make a special trip to come back to the banquet to get their championship jerseys. It was awesome. One more not to be over looked unofficial award given out at the ceremony was “Best Dressed Award”. I do not remember the young student-athletes full name but you may be able to see him in the pictures. He had on a purple pastel colored suite with the matching now-later gators. It was fresh! I must also recognize the pecan pie and the lemon pie. It was “GOOD”. I wanted to thank the chef personally but did not get a chance to shake her hand amidst the crowd. 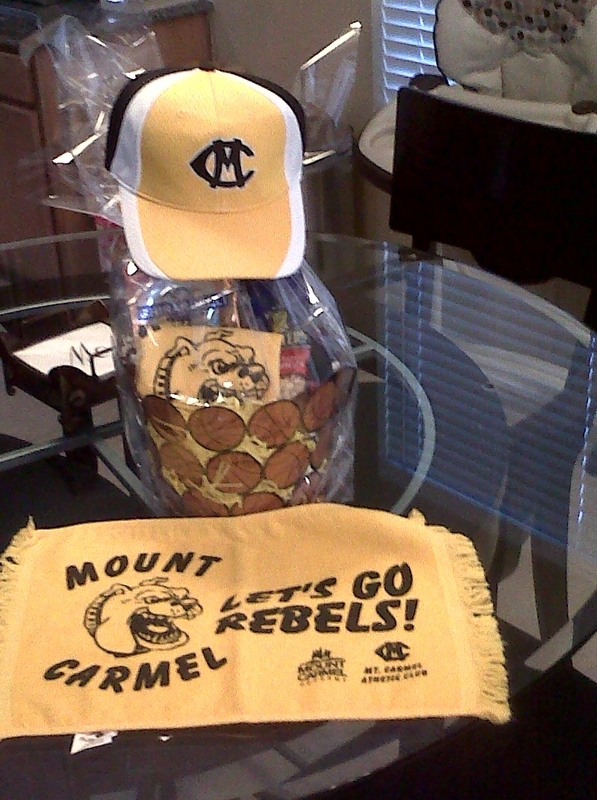 The event was hosted by the parents and Mount Carmel Athletic Club. I would like to thank all the Mount Carmel 300 for laughing at my jokes, the students for doing such a great job over the past season and the Moms for giving me such a great gift. I can’t forget Sal Rico for sending me the pictures. I appreciate it. Check them out below.